Earth Day, April 22, is quickly approaching and Keep Pennsylvania Beautiful invites all educators to check out the Litter Free School Zone Program. This comprehensive program encourages young people to take an active role in protecting and improving the environment through recycling, litter awareness and community stewardship. As part of the program, the school commits to organizing two cleanups or beautification events per year. Keep Pennsylvania Beautiful will also provide a Litter Free School Zone sign to each school that participates in the program. There are currently over eighty schools participating in the program. All schools are welcome to participate, whether you are an elementary school, middle school, high school, or public / private school. 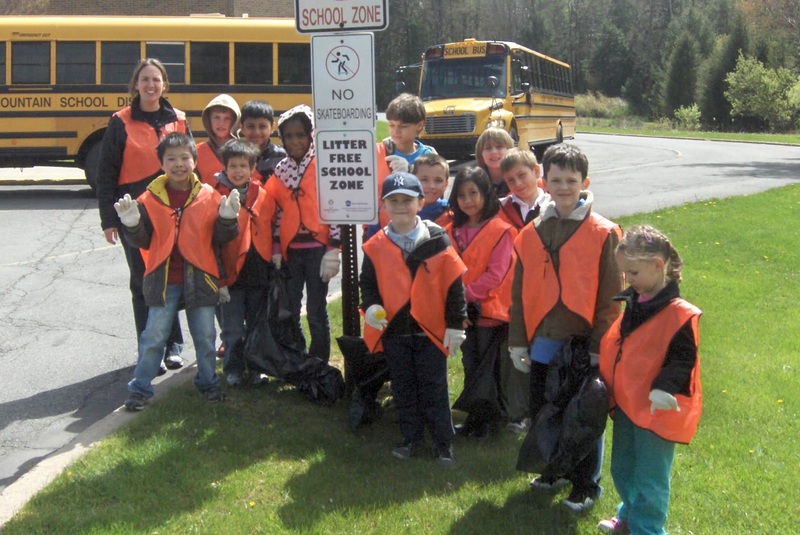 Litter Free School Zone events can also be registered with the Great American Cleanup of PA, a statewide community improvement initiative running through May 31. Registered events can receive free cleanup supplies such as bags, gloves and vests courtesy of PennDOT, the Department of Environmental Protection and Keep America Beautiful. Anyone interested in participating should visit the KPB Litter Free School Zone Program webpage or contact Stephanie Larson at 877-772-3673. Sign up now for the 2019 Great American Cleanup of PA and volunteer or set up your own cleanup and beautification event runs through May 31.